Electronic Arts has managed to turn a simple idea into another Origin PR disaster. A select number of Origin users received a pretty sweet offer from EA over the weekend: fill out a survey and get a code for a free game download. Hard to screw that up, right? Wrong. It was very quickly discovered that the code EA handed out was not a single-use code but could in fact be used over and over again to download as many games as the holder wanted. Even worse, or better depending on your perspective, the coupon codes could be used by anyone, not just the intended recipient, to download as many games as their bandwidth would allow. Quelle surprise, they quickly turned up on Reddit and the looting began in earnest. It's not known how many unauthorized games went out the door and probably never will be, but given that the codes hit Reddit on Saturday and it took EA until Sunday night to kill them, you can bet it was more than a few. Even so, EA's response to the mixup was, at least at first glance, very cool and a solid PR move, as it promised to honor all sales made with the coupon code, no questions asked. But the good feelings didn't last. By pulling the plug on the coupon code, EA locked out everyone who had completed the survey but hadn't yet had the opportunity to claim their free game. The people who were quick enough to screw the system made out like bandits, in other words, but a significant number of legitimate freebie claimants have been left out in the cold. 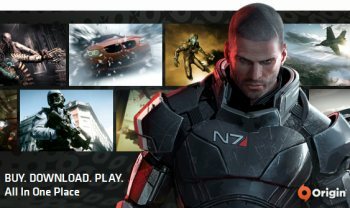 A slew of complaints has turned up on the Origin forums and EA doesn't appear to be handling them with quite the same grace it showed in the initial coupon mess; a few users have stated that EA customer support is honoring the codes on a case-by-case basis but the official company position seems to be a flat-out "no." "I understand why some folks may be frustrated that the coupon code ended early," as an Origin Community Manager put it, "but the coupon is now expired."